Global audio device market has been booming lately and it currently offers so many products that any ordinary customer can easily get confused when buying a new one. Headphones are one of the audio devices that most of us can’t live without anymore and their market is constantly getting bigger. Manufacturers are constantly competing and introducing new models in all shapes and colors and, as a result, it gets really difficult for their customers to decide which model to buy. We bet you have noticed numerous categories in the headphone department while searching for your new pair. If you find it difficult to understand which category you should check, read our article and we promise you won’t have these problems anymore. The three most common categories you will run into are headsets, headphones, and earphones and we have tried to thoroughly explain all of them as well as their subcategories so you could know exactly what you need and what you should be looking for. All these three types of headphones have some basic things in common. We wear them on/around our heads while their speakers are on our ears sending the sound directly into our them. They also have in common that they make our listening and talking experience more private and easier. They enable you to enjoy your music without disturbing other people around you and taking important calls handsfree. However, their built and their shape, as well as their purpose and way of use are different, so here is our detailed explanation that will enable you to distinguish them from each other. Headsets are essentially headphones because they have earpieces with built-in speakers connected by a headband. They can have one or two earpieces but the one thing that differs them from ordinary headphones is the fact that they always come with a microphone. We know that many of you will immediately say that most of the modern headphones have microphones but headsets don’t have small and invisible built-in microphones. A headset always comes with big a microphone that stands next to your mouth with a boom on its end. If this reminds you of call-center operators, you are not wrong. In fact, headsets were originally invented in order to help these operators in doing their jobs more efficiently. As many operators are sitting in a single room at the same time constantly receiving new phone calls, at some point the situation can get intolerable and unbearable. When all the people in one room are talking at the same time, it gets impossible to concentrate even on our own thoughts and when you have to talk with someone else and provide some services, it gets even more difficult. However, this was no longer the problem after the invention of headsets. They have enabled the operators and the callers to talk normally without the noise in the background disturbing them. 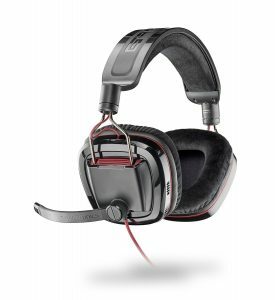 Today, you can find headsets with one or two earpieces delivering mono or stereo sound. They have the mic, the headband that connects the earpieces (in case the model has two earpieces) and the cable that is connected to the source of sound or a small device receiving the signal from the source of the sound. In the last case, people using the headsets can attach the receiver to their clothes and move around the room. This is why headsets can’t be found only in call centers but also in gyms where fitness instructors use them at group classes. Headsets can also be used by every ordinary customer that wants to talk with someone in private, for example for Skype calls. 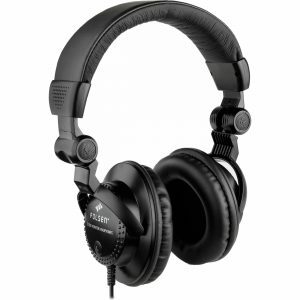 As we have mentioned previously, these are all kinds of headphones but after the number of headphone types has increased, this very name has been related to big headphones or, as most of us call them, full-size headphones. Headphones are big, spacious and usually very comfortable. They can be found and bought everywhere, online or in person, in all shapes and colors, made of plastic or metal. They have two thickly cushioned earpieces connected with a single headband, and although most of them have microphones, they are usually located on audio cable or, more often, built in one of the earpieces. In the earpieces, you can find two large drivers, which enable your headphones to deliver more powerful sound. Headphones have even wider use than headsets and they are made for all kinds of people. They come as models made to be used by professional musicians, DJs, composers, etc. but also as models that can be used in everyday situations (while commuting, at work, at home, at the gym, etc.). There are so many models of headphones in different price ranges that everyone can find a pair that fits into his budget. The interesting part is that even the cheap models have so many useful features that they don’t feel cheap at all. These devices come as wired or wireless. Most of the modern headphones have detachable cables, rechargeable batteries, and the support Bluetooth so they can be used as both wired and wireless. However, we usually distinguish them by the size and built of their earpieces (cups). On-ear headphones belong to the group of big headphones but their earpieces are shaped in a way that enables them to lie on your ears, not around them. They are probably the least popular type because they are not very comfortable and they can put extra pressure on your ears. Also, these headphones can leak sound and they can isolate only a small amount of ambient noise, which makes them undesirable for use in crowded and noisy places. Over-ear headphones are the true full-size headphones because they have spacious and thickly cushioned earcups that completely surround your ears isolating you from a great part of the ambient noise. If they support active noise cancellation technology at the same time, they are the perfect choice for commuting, working in crowded offices or being at any noisy place. Open-back headphones have open cups, which means their front side is covered only in some kind of mesh or grill while the drivers are completely visible through the holes. These headphones are made mostly for professional or indoor use because they not only leak sound but also let all the noise come inside the cups. However, the music played through these headphones sounds like it is played in a room so they are perfect for people who don’t love loud music. Semi-open headphones have partially open cups. They are also preferable for professional or indoor use because they leak a lot of sound and let ambient noise enter the cups and your ears. Closed-back headphones are perfect for outdoor use, especially in noisy places. The front side of their cups is completely covered with plastic or metal that prevent the noise from entering the cups. Even if they don’t support ANC, they leak less sound than the other models and their construction enables better noise isolation. Earphones are the smallest headphones that can be found on the market but they are probably the most common ones. They are very popular thanks to their size, light weight, portability, and reasonable prices. They are so widespread that you get one pair whenever you buy a new smartphone. 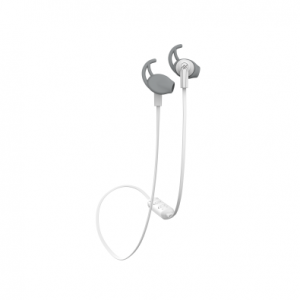 Earphones can be wired or wireless and their price varies depending on the type. If you have read some other articles or simply checked online ads, you have probably noticed that two different kinds of these small headphones are present on the market and that they can be differently named, which often confuses customers. Both types have small earpieces with very small drivers inside them, which are connected with audio cable. Most of them have an inline mic (built in a control pad on the audio cable) or built-in mic (built in one of the earpieces) but the greatest difference between them is made by the shape of their earpieces. Earphones/earbuds are the small headphones that don’t go deep inside your ear canal but lie on the outer ear instead. This is the type of earphones that come with most of the smartphones and they usually don’t have ear tips or cushions. In case of prolonged use, they can make your ears sore and painful because the plastic is directly in contact with your skin. They also leak sound and can’t protect you from ambient noise. In-ear headphones are earphones which come with ear tips made from silicone, foam or similar materials that prevent the plastic from hurting your ears and skin. These headphones are inserted deep inside your ear canal making your listening more private and providing good noise isolation.